As Hedgepig is nocturnal it would be time for bed early in the morning. Each morning he would awaken the Pogles by ringing the front door bell shortly before he retired. 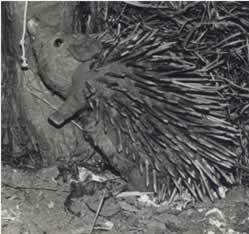 In "The Pogles" Hedgepig had little to say but later in Pogles' Wood his role developed into a speaking part.